Crammed with things you’ll enjoy as he travels from Bognor Regis in the South to Cape Wrath in the North of Scotland. Bill Bryson is funny. Not what you would expect from a Des Moines, Iowa native who spent most of his adult life in the U.K., much of it in senior copy and editing positions with the The Times and The Independent. It must have been galling for the British reporters to take direction from an American. 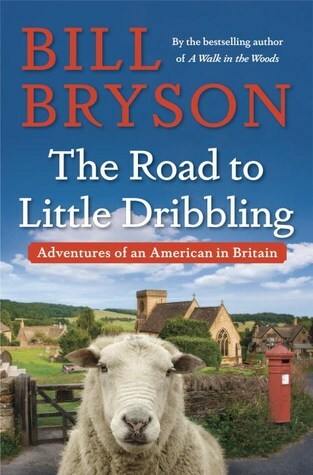 Bryson returns to his strongest theme in Little Dribbing—the joys of travel among the annoying idiosyncrasies of his adopted country. Unlike Paul Theroux, who makes you not want to visit the countries about which he entertainingly writes, Bryson revels in the beauty of the UK, the ignorance of British clerks, and the unique history of minor lay-bys that dot his island's highways and byways. I’ve read most every book of Bryson’s—he’s that kind of writer. Not one who produces series thrillers or mysteries, but one from whom you will effortlessly learn in beautifully written prose. And, if you want to take on a 500-page science education (A must for those of us educated 50 years ago by the RSCJ’s. ), A Short History of Nearly Everything is a must read. Also suggest that you read Bryson’s Notes from a Small Island prior to Little Dribbing.